When: Sept. 22, 2-6 p.m.
Do you have fruit trees you don’t have time or energy to care for and harvest? Do you feel guilty seeing the fruit go to waste? 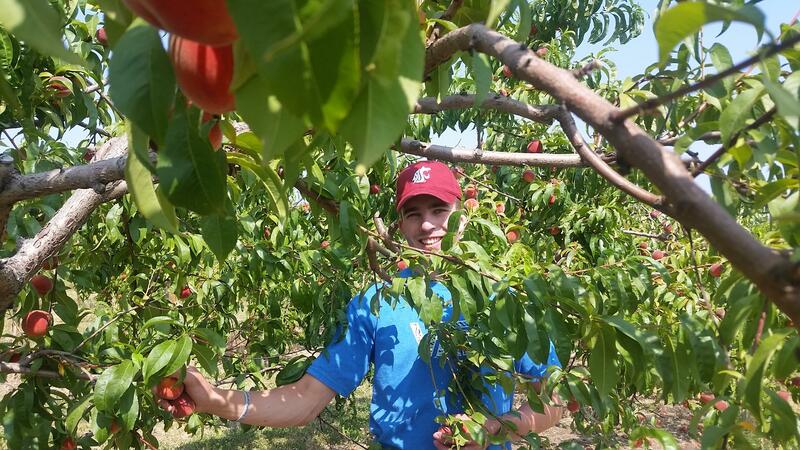 If so, help for caring and harvesting the apples, cherries, plums, walnuts, hazelnuts, peaches and apricots can be had by registering your trees with the Spokane Edible Tree Project. The Spokane Edible Tree Project is a local group formed in 2013 by current Spokane city Councilwoman Kate Burke that “mobilizes community members and resources to provide equitable access to healthy food that would otherwise go to waste.” The group trains volunteers to register backyard fruit trees and then helps the homeowner care for them before harvesting the fruit when it’s ripe. The group then donates the fruit to local food banks and pantries. In 2017, the group gleaned 27,313 pounds of fruit from local trees. That’s more than 100,000 servings of fresh fruit with a value over $40,000. Volunteers donated more than 2,000 hours to the project. To say thank you to its many volunteers and community supporters and raise funds to maintain and expand the effort, SETP is hosting its fifth annual Friendraiser event, Sept. 22, at Resurrection Episcopal Church in the Spokane Valley. The event is being held in the church’s two-acre restored apple orchard. The event will feature local food, wine and beer, kid and adult games, a band and a chance to connect with a passionate group of people who are making a difference in the community. Tickets are $35 for those 16 and older; $12 for those under 16. SETP does much more than just glean backyard fruit for its Glean for Good Program. SETP also collects unused school cafeteria food from the Spokane Public Schools through its Reproduce 81 program to donate to school pantries, hunger relief programs and food banks around the area. Through the Farmers Market Glean program, SETP organizes farmers market vendors to donate their unsold produce at the end of the market day. The Harvest to Give program organizes local U-pick farms to host fresh produce bins that customers can donate to. Volunteers pick up the produce from the farms and donate it to community organizations. SETP also offers community education on how to care for and properly prune fruit trees. The classes are usually hands-on opportunities taught in the late winter by local arborists and fruit tree experts. If you have a backyard tree you would like to put into SETP’s program, you must register your tree by going online at https://spokaneedibletreeproject.org/edible-trees/ and filling out the form. Volunteers will assess the tree for pest and other issues. Once you are on the registry, you will need to maintain the tree against pests and disease. When the fruit is ripe, you call SETP about two weeks before the fruit ripens so they can schedule volunteers to harvest it. Unfortunately, SETP can’t accept fruit with pest damage because their donation partners can’t accept it. Through their education programs, however, you can learn how to deal with the insect, disease and pruning issues.